Brrrrrrr it's cold in here....the fan on our ducted gas heater carked it yesterday and the repair man wasn't able to fix it today. A different repair man will come tomorrow so he better be able to bloody fix the thing. I can't go for a third night with it getting down to 14 degrees inside. Stupid freezing Canberra. So not too much typing tonight or my fingers just might freeze off. 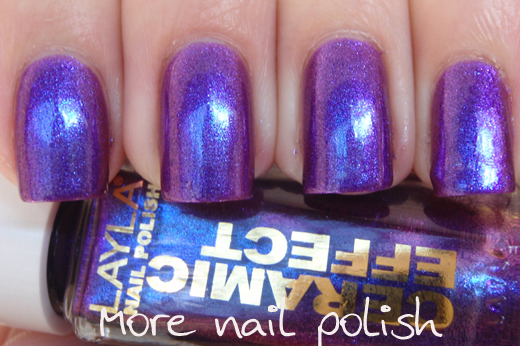 Here is another of the Layla ceramic effect polishes I bought, this is number 64. 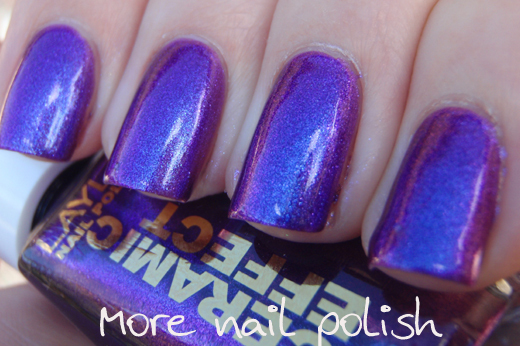 It's a purple base with a very strong blue shimmer that makes it the most amazing purple to blue duochrome. This is two coats over Nail Tek Foundation II, and topped with a layer of Seche Vite. In the sun it just looks all purple. But in the shade, like all duo and multichromes, it's simply divine. If you're wondering what the very distinct line down my nails is that distinguishes the two colours, it's just the eaves of the house. The blue side was the sky and the purple side was the reflection of the white of the eaves. Another huge win with this Layla polish. I'm four for four. See you again when it warms up *heads off to heat up a wheat bag*. UH-MAY-ZING!! Super super pretty, love this one! Beautious! So many ignored everything from this company but the holos. Now seeing the various picks I have from the Ceramic Effects line, I am really interested in putting in an order to add a # of these beauties to my collection. 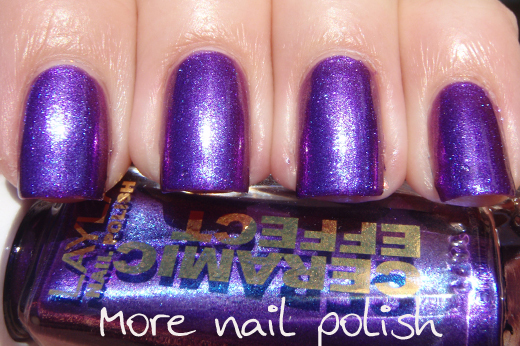 Gorgeous color and great swatch! love love love!! 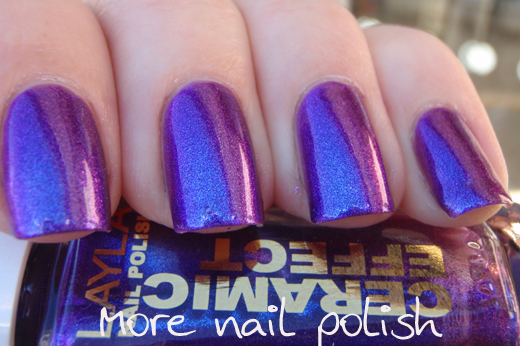 i NEED this colour too, will you be doing another layla order? 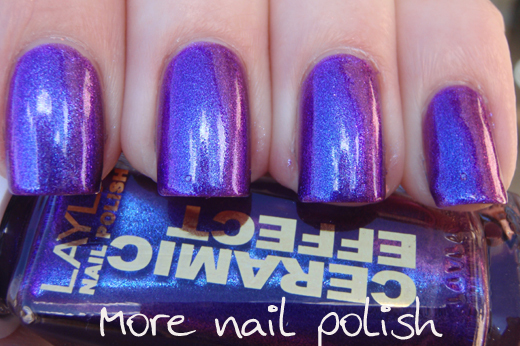 And this polish is so, so very pretty! Oh this is gorgeous! The eaves of your house show off the duochrome really well. I´m portuguese and I bought this Layla too. Is so beautiful! I have other Laylas and is my number one nail polish brand.